Violence in intimate relationships is often devastating on the victim and the children involved. Some women make it out, but are often left jobless, sometimes homeless and struggling with a broken spirit. Afraid to trust and re-victimised by the system, survivors often feel alone in their fight for survival. 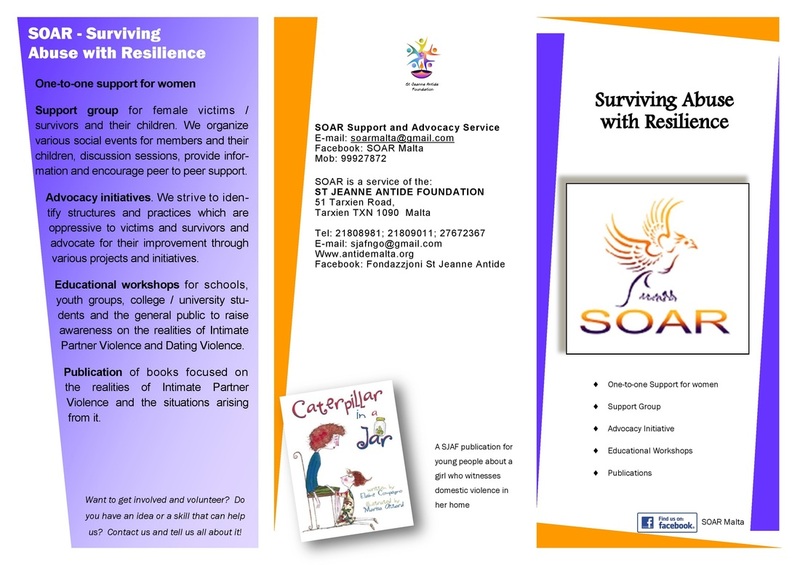 SOAR is a user-led service that works towards enabling survivors of violence in intimate relationships to pick up the pieces and bounce back with resilience, towards a life of dignity, well-being and justice. Through our support group we nurture a spirit of support and sisterhood among group members so as to overcome isolation and alienation from the violent relationship they had. 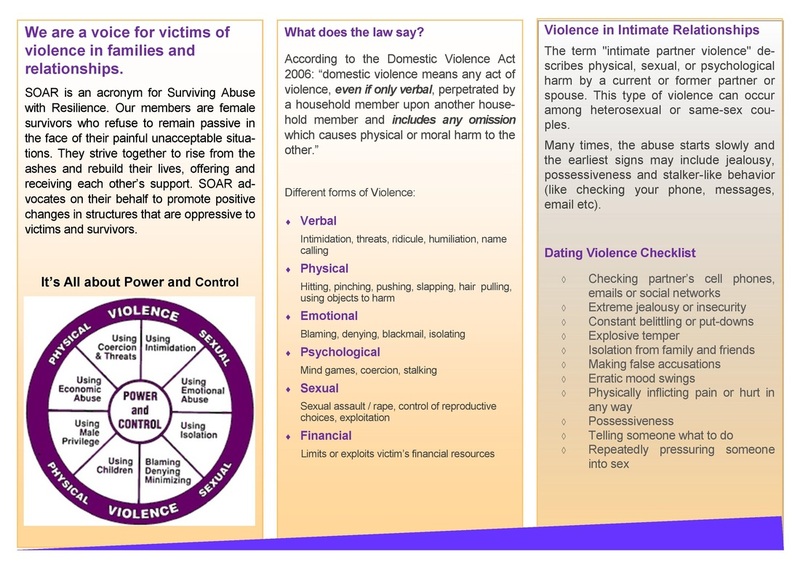 We organise educational workshops and raise awareness with the public, on the realities of the experience, on the signs, the red flags and on how one can find help and support. 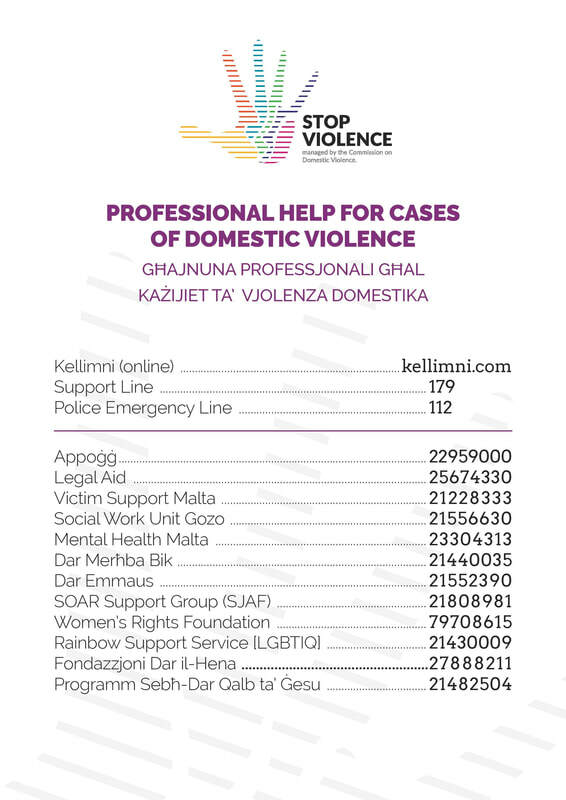 We advocate for improved policies, laws and practices that serve to bring social justice to victims and survivors of violence.